Two days ago I saw the business news and I was surprised: Research In Motion (RIM) made Blackberry Messenger (BBM) available for Apple and Android products. Whoa, what the h*ll are they thinking? As a business graduate, I used to learn that a business has to keep their competitive advantage. Yes, then what is a “competitive advantage”? A simple explanation from me, competitive advantage is one thing that make people turn to you, not anyone else. Once a company has its competitive advantage, the consumers will go to that company to find what they need. In a business, there is also a core competence. It is like “what your business is mainly about?” What I have learned during my studies is never outsource your core competence, so you can control your own business. Back to RIM case, I found that the decision is weird. It is like I saw Mr. Krab gives a krabby patty to his rival, Plankton. I remember that I bought a Blackberry phone because it has the BBM and most of my friends use it. So, it would be easier to communicate between us. The BBM thing made Blackberry phone exclusive since no other phones have BBM. The BBM has been RIM’s competitive advantage. People buy the Blackberry phone because it has the BBM. Now, RIM will share their secret weapon to their rivals. What will happen to the phone sales? I guess Blackberry phone is committing suicide or cannibalized by the applications (apps), since Blackberry phone is “nothing” without BBM. 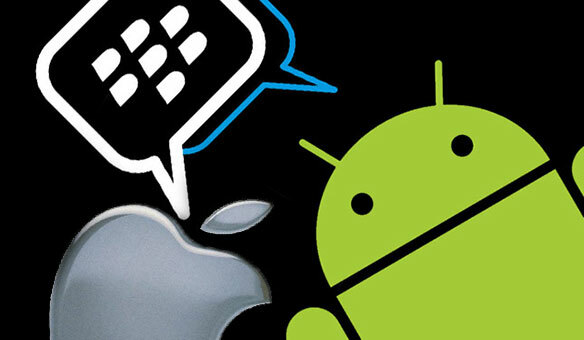 As a customer, I would prefer Android phones if it provides BBM as well as Blackberry phones. RIM has to be focus on its core competence, whether they want to offer the phone or the apps. By the decision, it seems like RIM switched into the apps business and they slowly kill the phone. 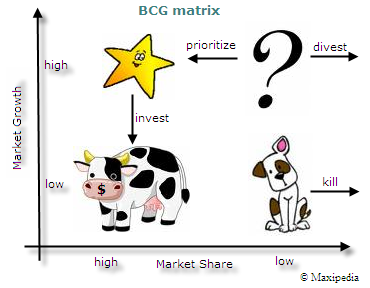 In the BCG matrix system, the BBM apps would be the question mark and the phone is the dog, and had been the cash-cow before. Anyway it is just my opinion. RIM can choose its own business strategy. I hope they will not spill the milk. Let’s see what will happen next, will the question mark be a star or be the dog instead.